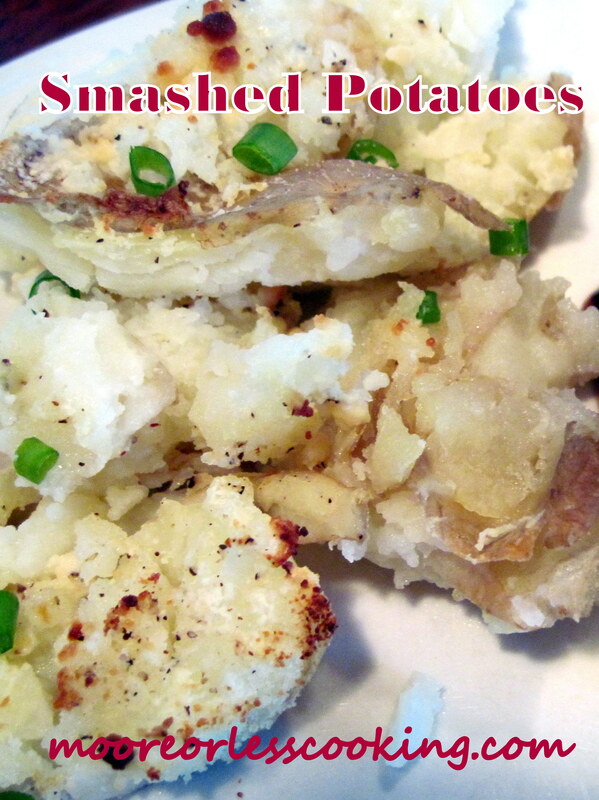 Smashed Potatoes and an Advent Wish For Karen from Baking in a Tornado Blog!! 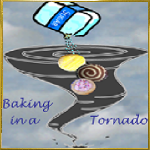 When I was asked if I would like to be a part of a group in presenting an online Advent Calendar for Karen from Baking in a Tornado, how could I say anything else but yes! Karen and I are friends, we are also in another group together, the 12 Cakes of December! If you ever need any cheering up, just stop by Karen’s page, she has me in stitches on a daily basis. She is a very clever lady! You see, Karen has never had an Advent Calendar. So I am celebrating the 18th day of December with Smashed Potatoes, because, to me, celebrations always include food, delicious comforting food. I decided to share the Smashed Potato. What is a potato to you? To me, the potato is a perfect meal in and amongst itself. I have never come across anyone who doesn’t like a potato. Be it baked, roasted, or fried, it is natures gift to us. I had a dream last night that I was carrying a bag of potatoes around my house. Imagine a Mr. Potato Head in place of the numbers of the advent calendar! Experience.com explains what dreaming of potatoes means. Dreaming of potatoes, “brings incidents often of good. To dream of digging them, denotes success. To dream of eating them, you will enjoy substantial gain. To cook them, congenial employment. Planting them, brings realization of desires”. So I suspect that carrying around potatoes is a really good omen for myself and for Karen! I wish you a life full of unlimited potatoes dear Karen on this 18th day of Advent! On the 18th day of Advent, Nettie shares Smashed Potatoes with Karen from Baking in a Tornado! Preheat oven to 500°. Roast potatoes for 15 minutes. Drizzle with remaining oil, turn to coat, and continue roasting until crispy and golden brown, 25–30 minutes. Sprinkle green onion over potatoes for garnish. These looks so yummy… I boil my potatoes before smashing them but need to try baking them first. 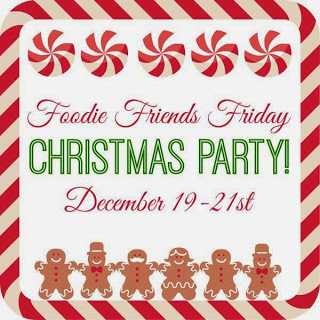 Thanks for sharing on Foodie Friends Friday and I hope that you will join us again tonight for our Best of 2013 party.